Just like humans, fish often have to cope with stress and its complications. You may gaze into your aquarium sometimes and think about what a peaceful life it must be. After all, fish get to swim around all day in a beautiful tank and get fed and cared for by their owner. Though it seems odd, the truth is that fish can get stressed in much the same way as humans do. Whether it’s a messy home, strained relationships with friends and family, or just general business, you can sympathize with a stressed out fish. Just like humans, though, stress in fish can lead to serious health complications, so it’s important to be able to recognize when your fish is stressed and what you can do to help. Symptoms: You should observe your fish often for any of these signs of stress. Gasping at the Surface: fish is gasping his mouth at the surface, this is a sign of stress brought on by poor water conditions, usually a lack of oxygen. Appetite: fish is stressed, oftentimes he will not eat. Disease: Ich, characterized by white spots on the body of a fish, and other diseases can appear as a result of your stress. If you observe this or any other visible ailments or sores on your fish, you should talk to your veterinarian about possible treatments. Strange Swimming: When fish are stressed, they often develop odd swimming patterns. 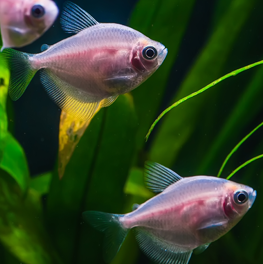 If your fish is swimming frantically without going anywhere, crashing at the bottom of his tank, rubbing himself on gravel or rocks, or locking his fins at his side, he may be experiencing significant stress. Talk to your veterinarian about treatment and look into what may be causing the stress and alleviating it. 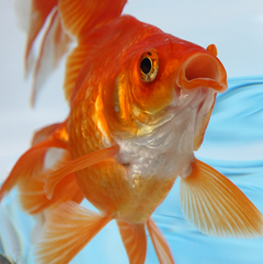 Improper water conditions: The conditions of your fish’s water can cause lots of stress if they are poorly maintained. If you see your fish gasping at the surface, you should conduct a water test immediately to find out if there is anything wrong with it. High ammonia or nitrate levels, low oxygen levels, improper temperature or a high or low pH can cause stress. If you have a saltwater tank, incorrect salt levels could have a similar effect. Troubles with other fish: Like humans, not all fish get along, and they often feel cramped if they live with too many other fish or the wrong fish. Make sure you don’t put too many fish in your aquarium, as this leads to various problems in fish combativeness and water quality. Also, fish need multiple hiding spots so that they can avoid aggressors. 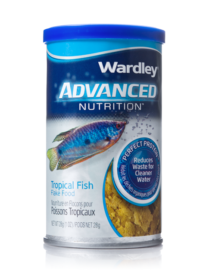 In addition, when feeding your fish, try to evenly distribute the food, so fish don’t have to compete. Other factors: In addition to those already mentioned, there are some other factors that lead to stress. 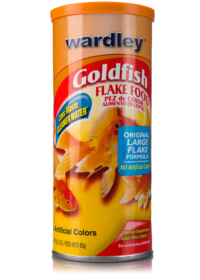 One of these is the presence of any added chemicals or medications in the fish’s tank. Make sure when treating a sick fish, he is properly quarantined first. Additionally, improper diet can cause stress. Make sure you know your fish’s ideal diet and do your best to adhere to it. Finally, disturbances of a fish’s habitat such as banging or loud noises can lead to stress. If you have children, make sure they know to respect the fish’s home. Next Steps: If you determine that your fish is suffering from stress, you should act quickly to treat him. 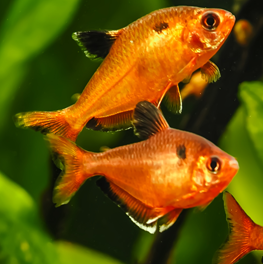 If left alone, stress can lead to serious and possibly fatal diseases like Dropsy and Fin Rot. First, you should try to determine what is stressing your fish, and eliminate that cause. You can do this by testing the water and examining your fish’s behavior. 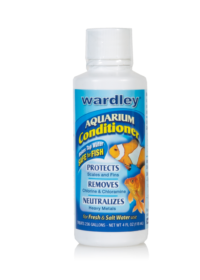 If this doesn’t improve your fish’s condition, you should talk to your veterinarian about possible solutions.